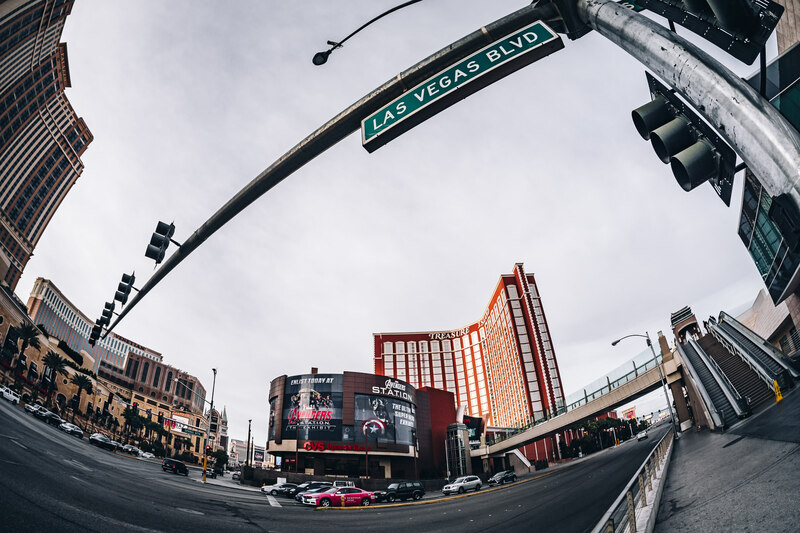 The Strip begins to come alive as morning dawns on Las Vegas. 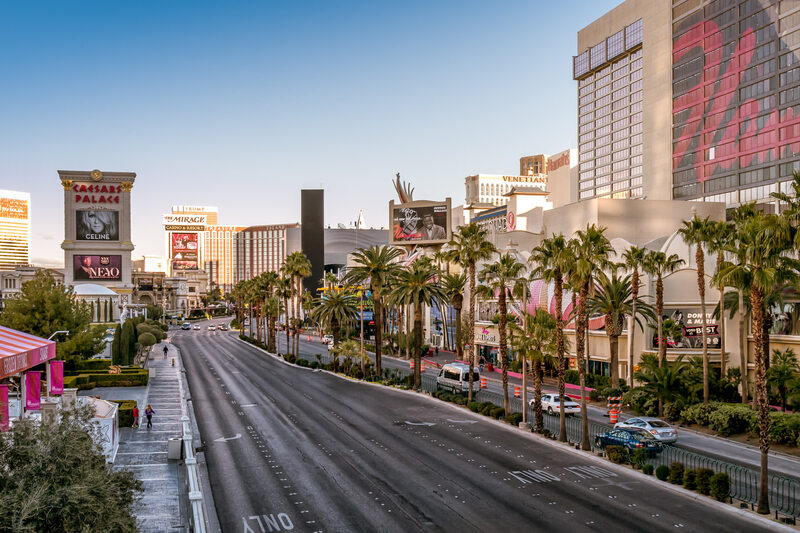 The Strip begins to come to life as the sun rises on Las Vegas. 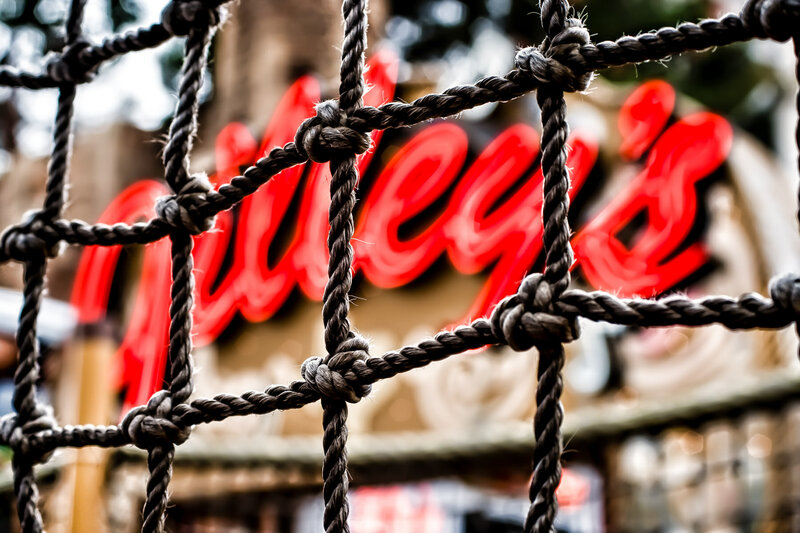 The sign of the Las Vegas location of Gilley’s—the Texas honky tonk featured in the move “Urban Cowboy”—at Treasure Island Hotel and Casino through netting along the property’s sidewalk on The Strip.